If it seems out of this world, it just might be. Hacienda Tacos co-owner Robby Vernon hails from Roswell, bringing New Mexican flavor and influence to Oklahoma. Bryan Neel, on the other hand, is native to Oklahoma and holds a certain affinity for Tex-Mex. 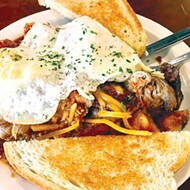 Together, Vernon and Neel find common ground as they carve out a niche with vibrant flavors few, if any, are exploring. Thanks to the efforts of chef Stephen Schmidt and his smoker (nicknamed Norma Jean), Hacienda Tacos, 12086 N. May Ave., offers 48-hour smoked barbacoa and al pastor as well as nine-day house-cured bacon. Tacos containing premium meats are served up on a foundation of fresh ingredients like white-corn tortillas, Chihuahua cheese, cilantro, chipotles (dried jalapeños) and red and green Hatch chiles. 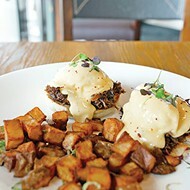 The focus is a chef-driven menu that puts an emphasis on ensuring everything is made from scratch and in-house. 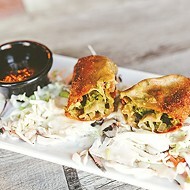 Starting with just five items on its menu last December, Hacienda Tacos now boasts over 20 unique items with weekly specials to test out potentially menu-worthy additions. 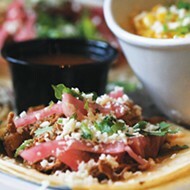 Currently, its most sought-after dish is the street taco combo. Patrons decide on three of four options: carnitas, mojo chicken, al pastor or barbacoa. Each taco has its own customized flavor profile; the al pastor is 48-hour smoked pork topped with cilantro, seared pineapple and feta cheese. 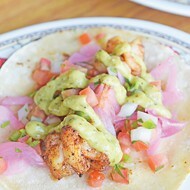 If thats not enough, it also offers a plethora of salsas and sauces to embolden the already-rich flavors. A supporting cast of on-tap sangria and margaritas as well as gazpacho-infused tequila, habanero-infused tequila or roasted green chili and bacon-infused tequila for Bloody Marias highlight the fact that Hacienda Tacos is unique. Were doing Mexican outside the box, said Neel, co-founder of S&B's Burger Joint. Luckily for Neel and Vernon, their out-of-the-box techniques have not gone unnoticed. Feedback from patrons has been full of reverence. Neel and Vernon first entertained the idea of opening a taco truck in February 2016. After a couple of dead ends, things started to click. 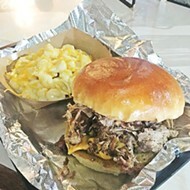 As they recalled, it was simply happenstance that they opened as a brick-and-mortar restaurant first, as their original intention was to keep it small and mobile as a food truck. But as one thing lead to another, a permanent address made the most sense. The restaurants layout was wide-open until co-owner Neel found inspiration from the button tufting of one particular yellow mid-back barstool. It didnt take long before that inspiration and vision spread throughout the empty space, cultivating a vibrant yet eclectic mix of art, music and flavors. 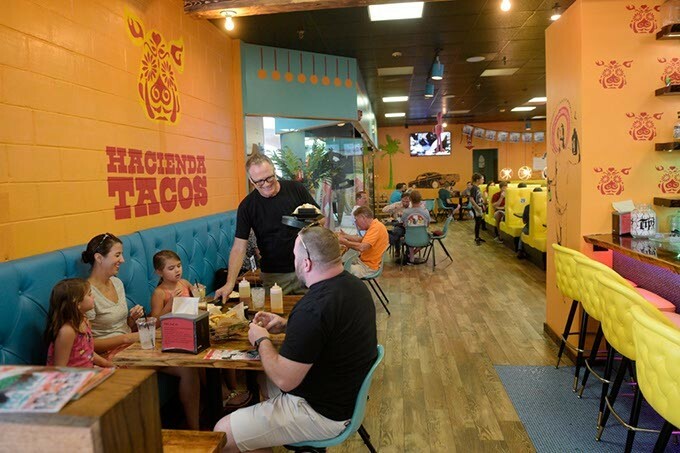 Nestled in the former City Bites space in Northpark Mall, Hacienda Tacos boasts a warm environment of hospitality. Patrons are welcomed by friendly staff and an ambiance that satisfies both pop and cult sensibilities. Nuanced references to scenes from St. Elmos Fire and The Last Supper (with Jesus Quintana of The Big Lebowski) underscore the teams pursuit for obscurity, an impetus guided by Neels wife Lindsay. She took everything out of my brain and turned it into art on the wall, Neel said. Using stenciled graffiti techniques, Lindsay captured the endearing admiration for nostalgia Neel holds dear. In addition to stenciled graffiti art, the restaurant displays throwback music videos from MTVs glory days curated mainly by Neel. Within one meal, patrons might expect to hear Led Zeppelins Communication Breakdown and the likes of The Cures Just Like Heaven. Somehow, it works. Just like its menu, the restaurants multitude of artistic styles weave together to create an unparalleled dining atmosphere. Neel and Vernon have close to 50 years of experience between them. From Electro Lounge to S&Bs Burger Joint, Neel is no stranger to getting a project off the ground. And Vernon spent years as one of La Baguettes top salesmen. Together, they bring a broad spectrum to the restaurant game. Looking ahead, they hope to have a fleet of food trucks with the idea to branch out into a variety of different concepts. Theres no telling what the next venture might be. 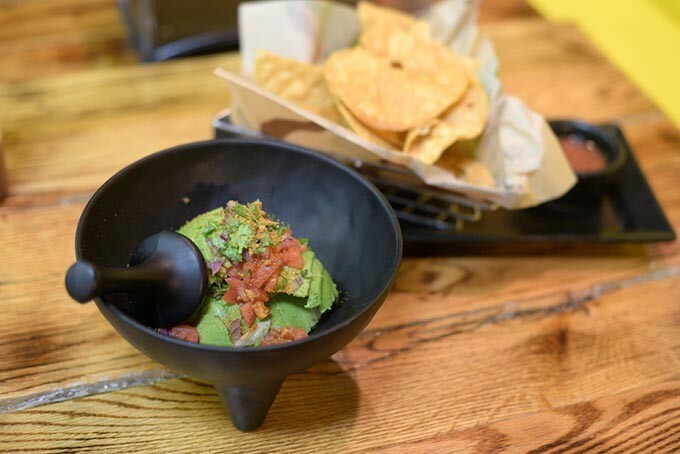 Print headline: Hacienda flair: A new taco shop mixes premium ingredients with an eclectic atmosphere to create a unique dining experience.